Another in the continuing series of pastry imagery. 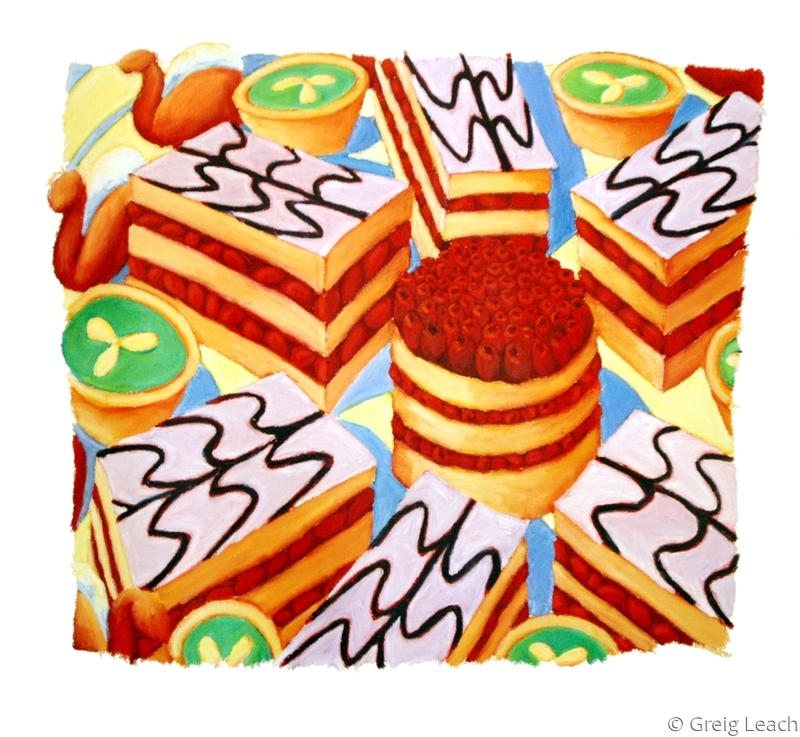 One of my most inspiring painters is Wayne Thiebaud, who among other images worked with pastries, cakes and pies to create powerful abstracted imagery. I hope this work follows suit both in subject matter and in the use of representational imagery to create an abstract painting.